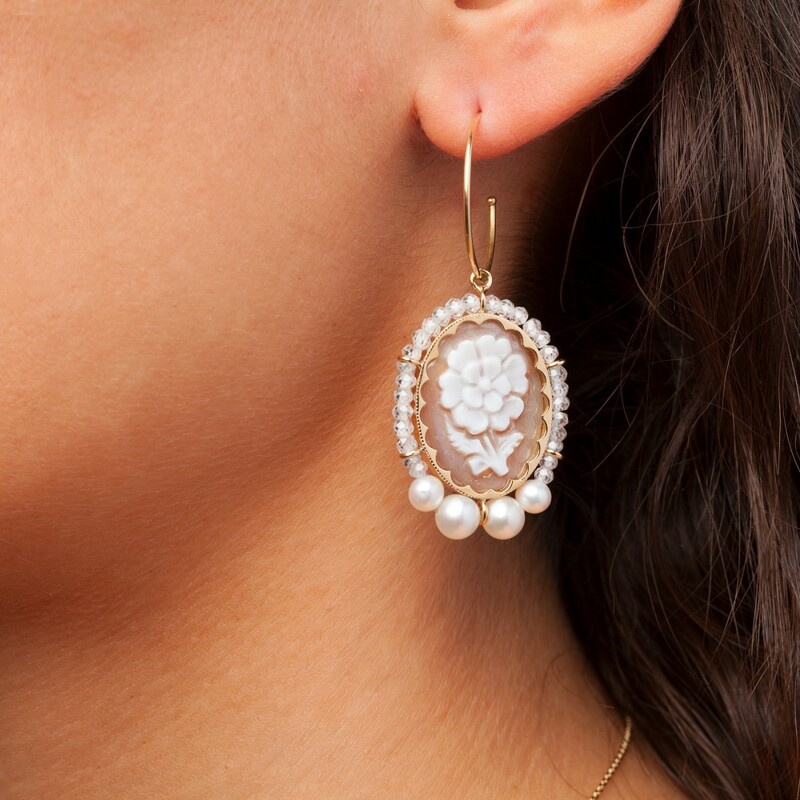 Handmade earrings in 18 kt gold with pearls and white zircons. Hook earrings with back clips in 18 kt gold with seashell cameos, natural pearls and white zircons. For this precious item shipping is out of charge and guarantee and packaging are included with it.